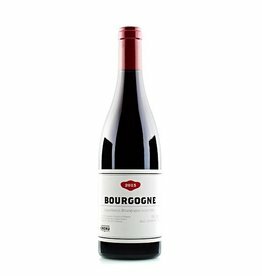 The Morgon is considered a powerful and long-lived Beaujolais Cru, which reminds in taste of a Pinot Noir with bottle ageing. The Domaine Jean-Paul Thévenet owns on average 70-year-old vines, which are also planted very closely, thus forcing the roots into the deep and keeping the yield per vine low, which is beneficial to the quality. Jean-Paul is the father of Charly Thevenet, who markets the Morgon up to and including the year 2017 under his name, from 2018 Charly takes over the entire Domaine. The 2017 Morgon Vieilles Vignes infatuates with an intense scent of cherry and red fruits, some white pepper and a mineral-like note. On the palate Beaujolais pure: medium weight, breed, fine tannins, freshness and elegance show up in the long-lasting finale. 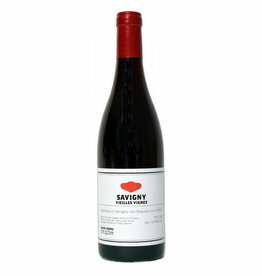 Can be drunk young, but mature well in the bottle for several years.